This week we provide some helpful information regarding car park lighting. Car parks – whether they’re underground at the local shopping centre or open-air ones in the airport – require adequate lighting. This promotes safety and security for all people and vehicles moving within them. What car park areas require lighting? Underground car parks in particular – with no natural light – rely on artificial lighting to keep cars and people safe at all times. 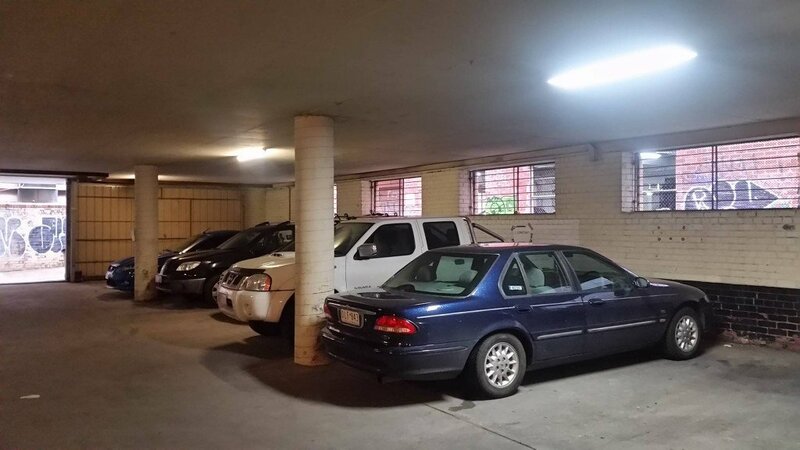 Even small-traffic car parks or carports for smaller apartment blocks require adequate lighting to ensure vehicle and pedestrian safety, especially at night. Shopping centres rely on lighting that combines safety and efficiency with low maintenance and a longer life. LED lighting can have a lifespan of up to 50,000 hours – even when lights are on 24/7. Modern technology also enables car park lighting systems to indicate drivers of an empty car spot. These car parks can be underground, covered, or open. Either way, sufficient lighting solutions promote safety at all times for customers. 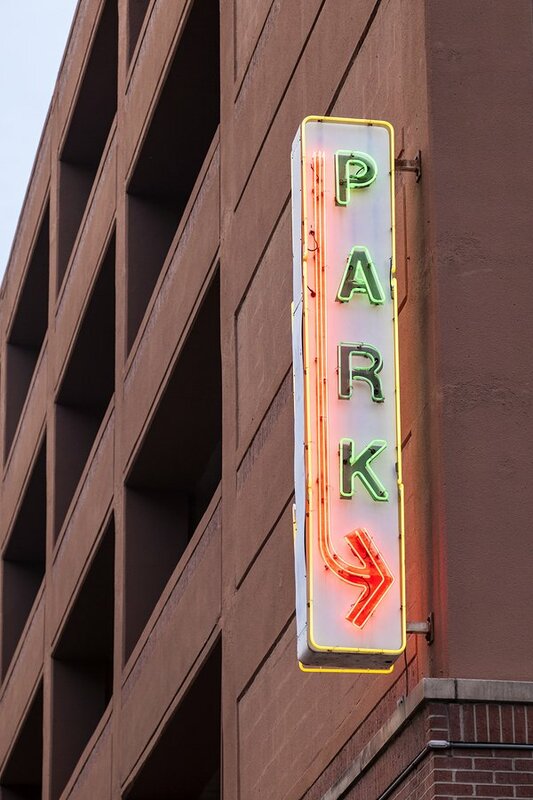 Regardless of whether you provide long or short-term parking options, sufficient lighting keeps employees safe during the day, and the general public safe at night. These high-traffic car parks (mainly the short-term parking lots but nonetheless the long-term lots, too) have thousands of cars (and inattentive people with luggage) moving in and out on a daily basis. Lighter interior colours – such as the materials or paint finishes used in a car park – can help better illuminate a space, improving safety. 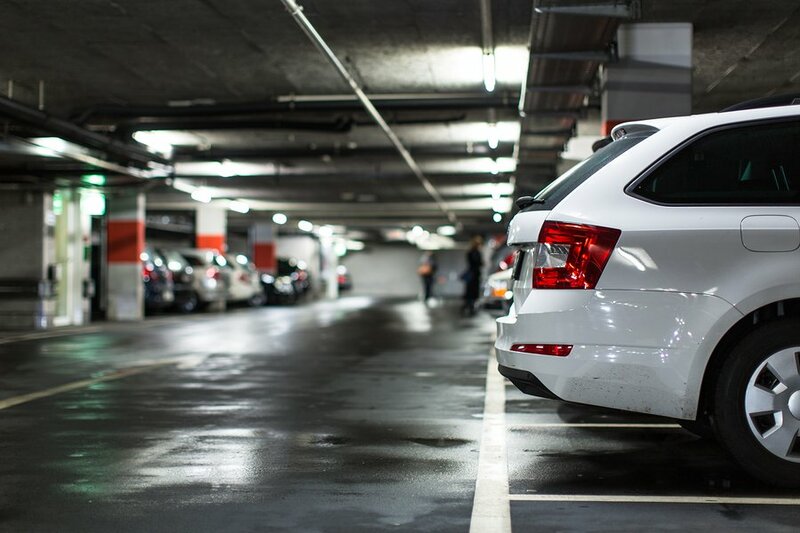 However certain surfaces can reflect lighting, causing unintentional and undesirable reflections that can hinder a driver in the car park. These seemingly trivial points must be considered especially in a high-traffic car park where vehicles and people alike are moving about day-in- day-out. Inadvertent glare and reflections should be kept to a minimum. Older car parks, especially those that were constructed before the prevalence of CCTV security cameras, often need to be upgraded at the demand of the general public in order to improve safety. Improved lighting also ensures CCTV footage is more effective, sharper, and defined. Newer car parks are designed with CCTV in mind as well as “natural sightlines” like visibility from the outside, the street, or other people. Cars aren’t the only things moving about in your car parks. Pedestrians – from men and women to children, the elderly, employees, customers, patrons, clients, and more – are all moving in and around of car parks by foot. Clearly marked pathways, crossings and exits – illuminated by effective lighting – ensures these pedestrians are kept safe at all times, regardless of whether they visit the car park every day for work or are making a rare trip to the airport to pick up a friend. As businesses (and individuals) become more conscious about their carbon footprint, it’s expected that within your car park lighting solution you can also enjoy reduced energy consumption, which as a result means reduced costs. A perceived large investment upfront, switching outdated lighting systems to more energy efficient ones can save thousands on yearly power costs and dramatically reduce CO2 emissions. While LED lighting provides an impressive lifespan, consistent and reactive maintenance will also help keep your lighting system healthy and well managed. If you want a more productive car park lighting system that can reduce your energy consumption and costs, speak to Briggs Electrical today. We’re electricians in Melbourne who can help create a solution to fulfil the three goals above. So call us today: 1300 300 222 or fill in this contact form.